Magic Leap unleashes its Magic Leap One augmented reality headset with its Creator Edition - but is this the start of something massive or a false flag? After years of development and raising $2.3 billion from investors, including Google, Florida-based Magic Leap has released the Magic Leap One, its first attempt at bringing augmented reality (AR) to the masses. However, the release of the headset is not meant for public consumption. Rather, the Creator’s Edition is primarily aimed at developers with an eye-watering price-tag of $2,295, although just $700 less than the development version of Microsoft’s Hololens headset. 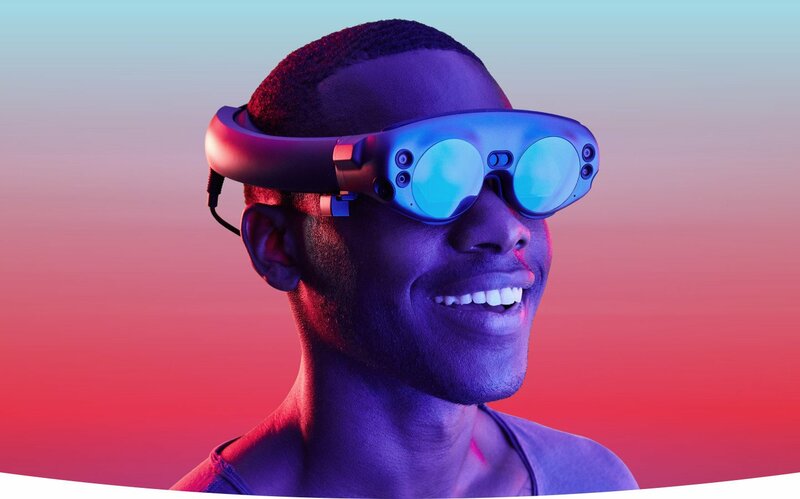 For those with a bit more money, for an extra $495, you’ll get the ‘Professional Development Package’ that includes a Magic Leap Hub cable and membership to the firm's RapidReplace program, which looks to provide hardware replacements if needed within a 24 hour period. The Creator’s Edition will come in two sizes and features the headset itself — a Lightpack computing pack, handheld control input and a Fit Kit to provide a calibrated fit for the user. The Creator’s Edition is only available in the US for now and only within six cities: Chicago, Los Angeles, Miami, New York, San Francisco, and Seattle. Programs available for the first edition of the headset include a web browser named Helio, a sandbox play art program called Create, a demo of a steampunk action game called Dr Gordbot’s Invaders - jointly developed between Magic Leap Studios and Weta Workshop - and a music-based experienced called Tónandi, made in collaboration with Magic Leap Studios and Icelandic band Sigur Rós. It also has in the works a app in collaboration with the NBA and offered a preview of it to press who got to try the headset in the past month. But all this, while in itself is appealing in its own unique way, doesn’t come with a killer app or known presence from games development. And the hardware itself still seems far from its potential, with previews from The Verge and CNBC noting that the vision and potential is there, it still seems out of reach. In an interview with Variety, Magic Leap founder and CEO Rony Abovitz said the Magic Leap Two - the consumer version - will feature support for AT&T’s 5G network and a broader marketing push for the wider public. So just how does the Magic Leap One set up the foundation for Magic Leap Two’s release to the wider public (whenever that is)? And can developers be convinced to come work on the tech? SuperData’s Stephanie Liamas told GameDaily.Biz that if Magic Leap can deliver on partnerships already set with the NBA and Disney, there’s a chance. Developers are still “skittish” to get involved with AR in the same a majority are still yet to get their hands dirty with VR. “They already have partnerships in place with big names like Disney and the NBA, so I think if they can deliver on those partnerships, AAA developers will see potential for themselves,” she said. “But as we've seen with VR so far, AAAs are still skittish to get involved with immersive technology because the consumer base isn't there yet. Magic Leap is facing the chicken-and-egg scenario where they need consumers to entice developers and content to entice consumers, which is something VR has already been struggling with.